This program wouldnt work for me at all until the .04 update. 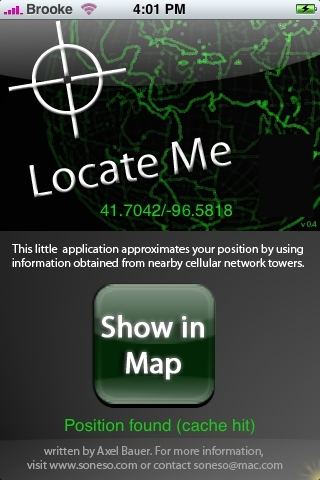 Now it pinpoints my location to within close proximity. However like you said it never updates now. It continues to use my old location. How can I get this to refresh or update, or is it going to continue to use the old location. Just trying to find out why this simple feature was overlooked. 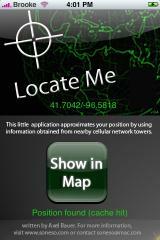 Why would a program thats designed to find your location use old info without ever refreshing? I have that same problem. there find always my old place. I have the same pretty accurate over here in Hiolland. But also no refresh. What ‘works’ with me is starting it at the new location, close it via the Home button and then open it again. Suddenly then it refreshes. But a refresh still would come very much in hand.